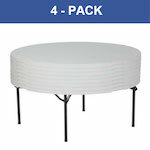 Lifetime tables & chairs bulk pack products feature our low price guarantee. 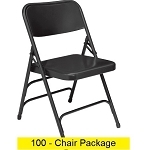 Save big by ordering in pallet quantities for your church, school, AFW posts, party rentals, and home events. Contact us for special quotes to be prepared for your next big event including weddings, graduation parties, church events, school assemblies, stadium seating and more. 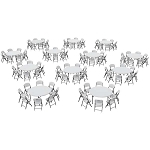 Churches seem to favor 60" Round tables and 8' Rectangular Tables. Click to view our best sellers for churches, synagogues, and places of worship. 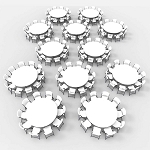 Make things simple by going with a table and chair combo giving options of both round and rectangular tables with the matching chairs. Available in 4 ft, 5 ft (most common), and 6 ft Round in White, Almond, and coming soon in Black. Enjoy stimulating conversation as everyone faces each other. Available in 6 ft, 8 ft, 4 ft, and other sizes in White Granite, Putty, Black, Almond, perfect for churches, schools, rental companies, and restaurants. Order in 32-Packs, 64-Packs, 100-Packs and more to save on volume discounts for your next big event. Popular for churches and schools. Available in 10-Packs, 4-Packs, and 1-Packs in Putty (gray), Green, and White Colors. Perfect for KOA's, RV Parks, Campgrounds, Cafeterias, and Break Rooms. Complete pallet quantities allow us to ship on one pallet and you to save money ordering in bulk. 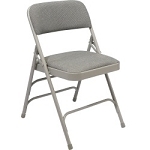 Popular for businesses, churches, and party rental groups. Store tables under beds, in cars and trucks, or anywhere you'd like with tables that fold-in-half. Save by buying in bulk and qualify for free freight. Use these for card games, puzzles, crafts, Thanksgiving, buffets, church displays, and more. Available in 24-Packs, 4-Packs, and 1-Packs in Almond and White. 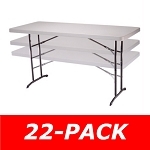 Perfect for smaller bulk orders for customers adding to their furniture or just getting started. 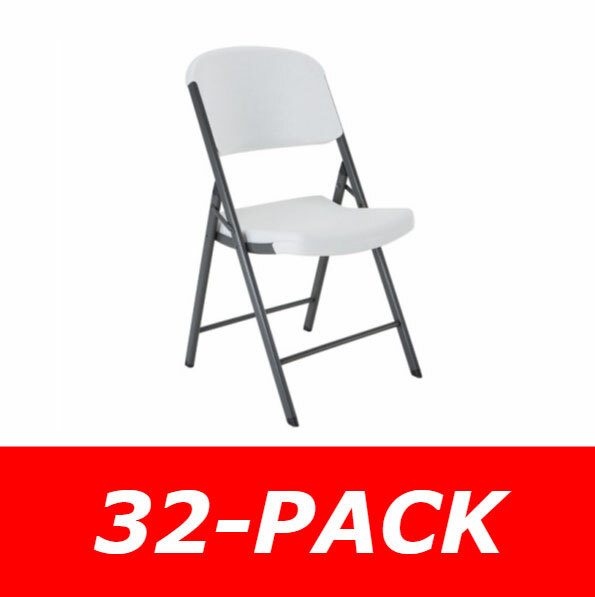 Almost all our table and chair options are available in 4-pack quantities.